Download PS Form 1583, also known as USPS Application of Delivery of Mail Through an Agent. 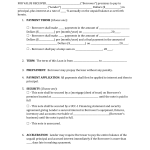 This form allows a business to legally accept mail as an agent for another business. Read all sections carefully inasmuch as there are very specific policies that must be followed or mail will be withheld until all steps have been taken and verification has been made by the United States Postal Service. Carefully read the 3 paragraphs in section 1. Provide the name in which applicant’s mail will be received. This will be the name of the “agent” who will receive the mail. Spouses may file one form jointly, however, both must present two forms of identification. Put names of anyone who is willing to allow the agent to sign and accept restricted mail. 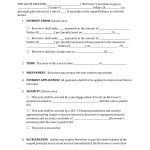 Step 8 – Section 8 – Complete 8 a. and b. The agent must see your ID and write the information in the boxes. Step 9 – Block 9. Step 11 – Block 11. Any name listed in this block must have verifiable identification. Should any of the recipients be minor children, a guardian must list the names of any and all minors receiving mail at their delivery address. 15. This section must be signed before a notary public. 16. 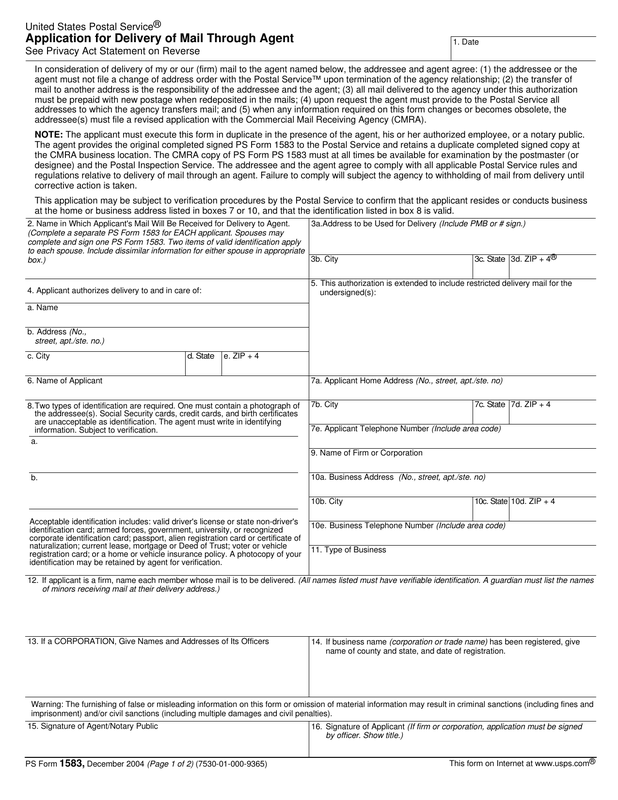 Signature of applicant- if this is a firm or corporation this application must be signed by an officer of the firm or corporation.